Spring has sprung and that means all of the joys of spring gardening and lawn care is right around the corner. This is a very important time for your lawn. Taking the right steps in the first few weeks of spring will make your lawn care throughout the rest of the year much easier and help keep your lawn healthy. 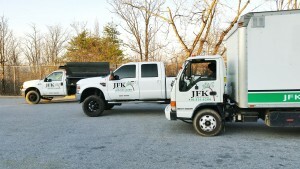 If you aren’t sure how to best care for your lawn in this critical season or you need someone to handle your property, JFK Lawn and Landscape is here to help. Right off the bat you have a tough choice to make: lawn seeding or weed control. Everyone wants a lush, green lawn with minimal weeds, but you can’t plant grass seed and spray herbicide at the same time. 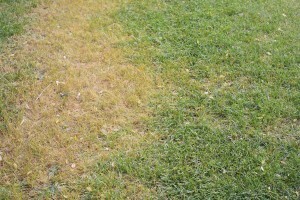 The herbicides will prevent the grass seed from growing. Since herbicides can be active for up to 12 weeks you’ll miss the spring planting season if you decide to go this route. If your goal is to fill in bare spots or establish a new lawn, go with seeding. However, if you already have a full lawn, choose the weed control. Your fertilizing plan should depend on what kind of grass you have. Cool-season grasses are better off being fertilized in the fall, but if your lawn really needs it, use a slow release fertilizer sparingly. Warm-season grasses need fertilizer in late spring when there isn’t a real risk for another frost and the grass is growing. The most common in this area is the Cool-season turf. Testing your soil is a good thing to do in early spring. Checking the pH and using additives to bring your soil to a healthier level will promote growth and make the most out of any grass seed you’ve laid. JFK can take a soil sample and have a lab analyze it to determine the pH levels and overall condition of your soil and make recommendation based on your lawn’s specific needs. Another option is using sod. In our region we use “cool season” grasses for sod repair or entire replacement of your turf areas. Examples of the sod types are Tall Fescue, Kentucky Bluegrass and Annual and Perennial Rye Grasses. We purchase directly from a local professional sod farm. Using sod produces a quicker result of lush, thick turf and could be a great choice for your property needs, so let us know how we can best assist you this season. This entry was posted on Tuesday, March 28th, 2017 at 3:04 pm. Both comments and pings are currently closed.